The top court said that Section 45(1) of the Prevention of Money Laundering Act, 2002 (PMLA) was "unreasonable". 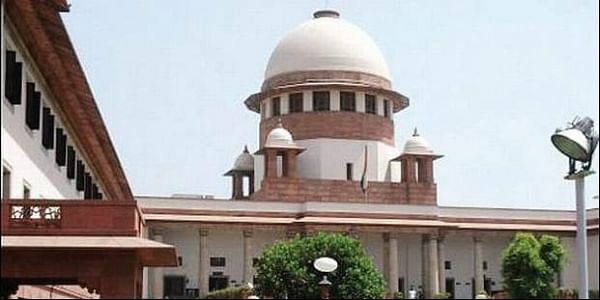 NEW DELHI: In a significant order, the Supreme Court today struck down a stringent condition for securing bail of a person accused of money laundering, saying it was "manifestly arbitrary" and "unconstitutional" as it drastically intruded into the fundamental rights of the accused. The top court said that Section 45(1) of the Prevention of Money Laundering Act, 2002 (PMLA), which imposes conditions like hearing of a prosecutor before the bail is granted to an accused, was "unreasonable". The verdict will have wide ramification as a bench of Justices R F Nariman and S K Kaul said that all cases in which bail has been denied so far due to the conditions contained in Section 45, will now go back to the respective courts which have denied bail. "We declare Section 45(1) of the Prevention of Money Laundering Act, 2002, insofar as it imposes two further conditions for release on bail, to be unconstitutional as it violates Articles 14 and 21 of the Constitution of India," the bench said. As per Section 45 of the Act, a person accused of an offence punishable for a term of three years imprisonment could be given bail only if the Public Prosecutor was given an opportunity to oppose the application for release. The provision also says that bail could be granted only if the court was satisfied that there were reasonable grounds for believing that the person is not guilty of such offence or that he is not likely to commit any offence while on bail. The apex court set aside all orders by which bail to an accused was denied due to the twin conditions and directed that such cases be remanded back to the respective courts to be heard on merits. The court, while hearing a batch of petitions and appeals challenging the constitutional validity of Section 45 of PMLA, termed it as a "drastic provision" which turns on its head the presumption of innocence which is fundamental to a person accused of any offence. It also said that before applying such a section which makes "drastic inroads" into the fundamental right of personal liberty under Article 21, "we must be doubly sure that such provision furthers a compelling state interest for tackling serious crime." Without "any such compelling state interest, the indiscriminate application of the provisions of Section 45 will certainly violate Article 21 of the Constitution. "Provisions akin to section 45 have only been upheld on the ground that there is a compelling state interest in tackling crimes of an extremely heinous nature," the court said. It said that merely "reading down" the two conditions would not get rid of the "vice of manifest arbitrariness and discrimination"
The apex court pointed to one of the anomalies in section 45 and said that anticipatory bail could be granted to a person who is prosecuted for the offence of money laundering, which may last throughout the trial of the case against him. It said if the person is arrested for the offence of money laundering, then in order to seek regular bail, section 45 will apply, which was an anomalous situation.